If ever there was a time that you coveted those gorgeous sandpaper letters and thought “awwwwww I wish u could afford those!”, then this is the post for you! I had been doing that for about a year and every time I thought of pressing the “but now” button my conscience would come alive and I just couldn’t justify the price. 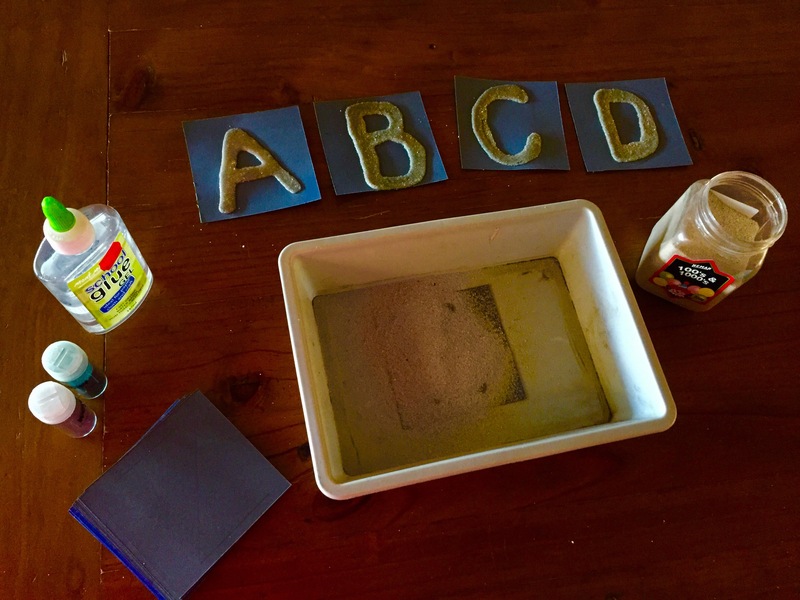 So anyway here is a super simple and super awesome way to do these on the SUPER BUDGET, that I found while searching Pinterest one night for the umpteenth time for DIY sandpaper letters. 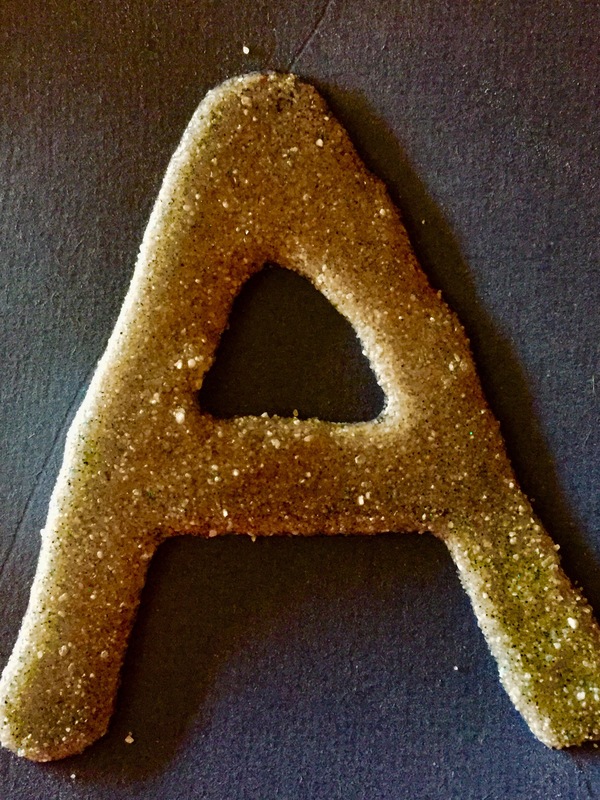 Some tough cardstock, clear glue, sandpit sand, a baking tray or flattish container (and glitter if you want, totally not necessary and if I did it again I would leave it out). Then trace your letters in pencil on all your card. Then one at a time go through this process. 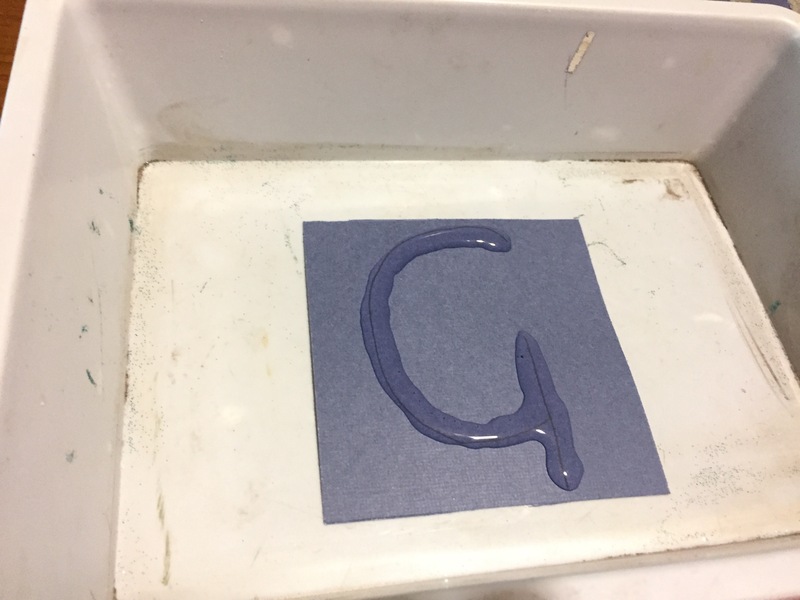 Then pour your sand into the glue (tip- do not squish the sand in with your finger in the hope more will stick NOOOOO you will end up with a funky letter, believe me, I tried it! Just like that sand into it thickly). And once they have fully dried, I would say 24hrs depending on the weather (if it’s damp and cold it could take longer) then you are all done and you end up with a beautiful sandpaper letter like this. Enjoy and let me know what you think if you try them, THANKS AGAIN PINTEREST. Thanks for stopping by lovelies remember to chat to me, I ADORE hearing from you all.